Found this buck at first light a couple weeks ago..
Upcoming Photo Tours: "Bald Eagles of Alaska" "Winter in Yellowstone"
A real beauty against the soft pastel BG. Location: Bucks, UK. In tune with Nature. That's some girth and neck on the buck! Beautiful dawn pastel colour palette shows him off so well. the world will know peace"....Jimi Hendrix. very enjoyable image with that low view and back drop on this impressive buck. 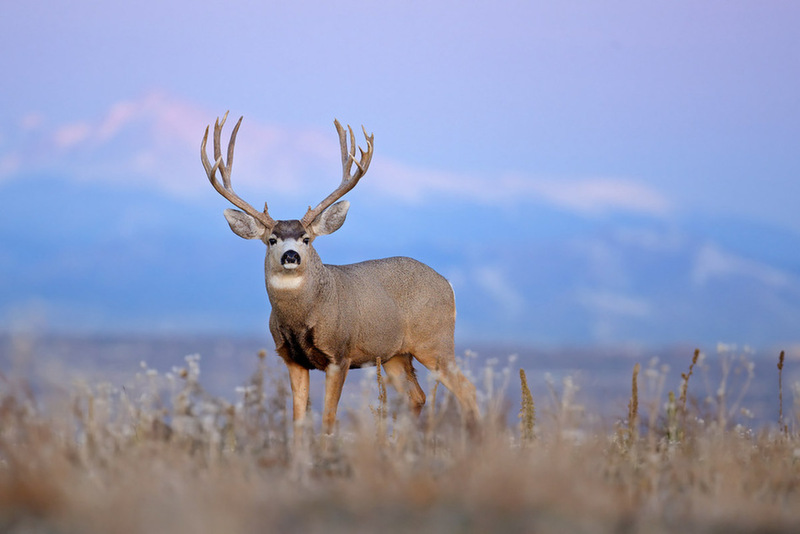 Majestic looking buck in a grande setting, impressive image. I like how he is checking you out with that direct gaze. Beautiful shot Dale, awesome background and colors! Love the light and landscape in this one. Beautiful. Lovely composition featuring an impressive buck. The soft light and background really add to this fine image.